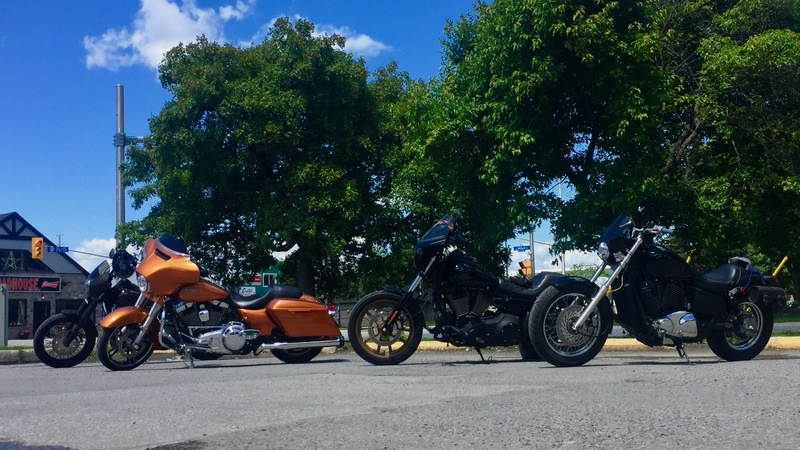 Honda Shadow Forums : Shadow Motorcycle Forum > Local Discussion > Canadian Riders > Ottawa Area - Wanna ride together? Did you look at their used bikes? They want way too much for them. They have a nice white VTX in there I would love, but it's priced about $3000 to high, for the year and mileage. I did a walk around of the used bikes, but didn't see much that interested me. There was a cool looking 1992 Harley Softail bobber type with springer front end done in black/gold, but at $17,500 it was too old and way too expensive. It always bugs me when someone wants to tack on "new" prices for all their "old" accessories that have been on the bike for years to the "retail" price of the bike. I'm sorry, but you HAVE to think there is going to be "depreciation", folks! You can't expect someone to pay a "premium" or "new" price for that rust pitted, flaking chrome backrest or other WELL "used" accessory, just because YOU want to try to "recoup" YOUR cost when you bought it. It ain't WORTH it, dude!! I see that FAR too often, though. This is a dealership, so I guess they think they should be charging retail prices on their used bikes too. I am always looking at the local Kijiji (CL in Canada) and similar bikes are priced much lower on private sale. I see this far too often, with both dealerships AND individuals selling bikes. I'd rather get a bike from someone I "know", at least remotely, via these forums than on Craigslist or one of those other places. Heading out for a ride to Merrickville this morning. 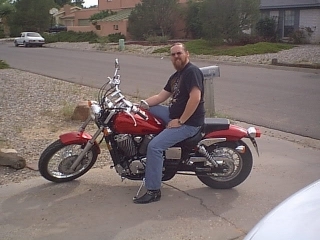 Then taking the bike downtown to meet a friend for coffee. Hope some of you guys are getting out this weekend as well. Was out a bit Saturday during the day and also in the evening. Rode around Kanata and west of Ottawa with a friend of mine. And then in the evening, met up with others at the Timmys on Innes. Did anyone in the Ottawa area make it out to the Moto Social event at Happy Goat this week? If the weather is nice tomorrow, I'll probably be taking a ride up the 511 tomorrow. Anyone is welcome. However, the pace will probably sprinted.